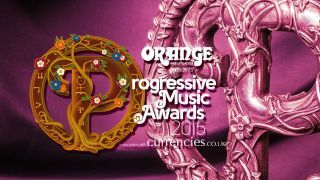 Progressive Music Awards 2015: Nominations Announced! The 2015 awards will again take place at London’s Underglobe venue, beneath Shakepseare’s Globe Theatre, on Thursday September 3. This year, the event will be hosted of the first time by TV presenter Matthew Wright. You can vote for your choice of the nominees at: progmagazine.com/awards. Pink Floyd’s The Endless River album sees them pick up three nominations for Grand Design, Album and Band/Artist of the Year. King Crimson and Steven Wilson are the only other artists with three nominations and go head-to-head in the Grand Design category. Wilson is also nominated for Band/Artist of the Year with King Crimson getting the nod for of their US Tour for Live Event. Kate Bush’s first live shows in 35 years sees her nominated for Live Event and Artist of the Year, with Steve Hackett, Von Hertzen Brothers, Opeth, Public Service Broadcasting and Flying Colors also nominated for two awards. The **Progressive Music Awards has established itself as one of the most respected events in the music calender. In its short but illustrious history, it has honoured and and hosted some of the world’s most renowned and respected artists including_ _Peter Gabriel, Rick Wakeman, Ian Anderson, Genesis**, and Rush. But this is about more than the old guard. Talent of tomorrow including Syd Arthur, TesseracT and Messenger have seen their careers go from strength-to-strength since picking up their award. The editorially chosen categories are: Outer Limits, Visionary, Virtuoso, Guiding Light, Lifetime Achievement and Prog God.